A truly portable table at just 14.5kgs. With its rapid set up, one touch height control, the couch has been designed to be used and taken to the next appointment with the minimum of strain and difficulty for the therapist. Portable and professional massage table with hand stitched, luxury leather style upholstery. Strong aluminium frame. Luxurious 2.0" Thera-foam padding. Excellent Quality Durable couch - Best on the Market One of the strongest couches on the market with a working weight of 230kg yet only 14.5kg weight to carry so manageable for most people. 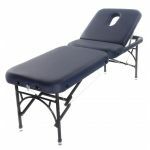 This couch is being used by many of the top Sports Physios in Ireland in GAA, Rugby and Soccer where it gets heavy usage at training sessions / games 3, 4 times a week. the couch will last for many years. 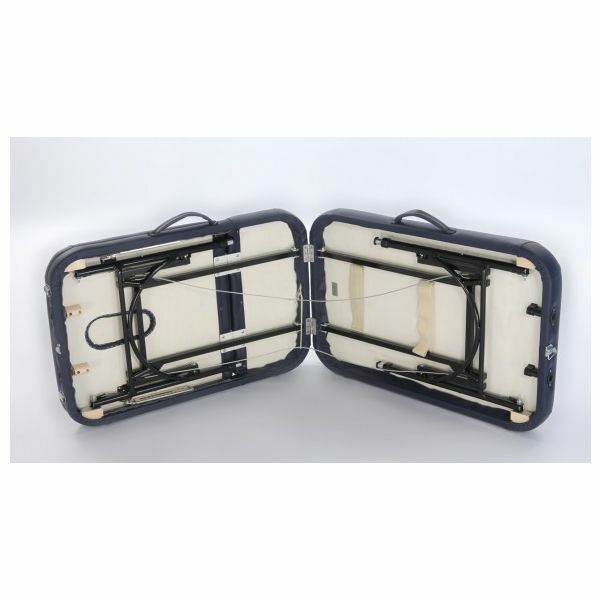 Very strong and durable to stand this test, yet lightweight for easy portability. Very favorable reviews from all who have one and huge referral rate for new orders.